Stephen H. Hagler practices both Family Law and Social Security Disability Law. He helps families resolve disputes and do estate planning and probate services. He will do the work for you through the lengthy process of each of these overwhelming and burdensome issues. Stephen H. Hagler offers free consultations. There is no financial risk or loss when you come in for your consultation, because it is free of charge. From the time you come in for your free consultation until the end, you will receive the personal attention you want and need throughout the process. Not only will he be on your side during the process, but you will have two legal assistants fighting for you as well. Stephen H. Hagler only charges you if he gets results! Your SSD/SSDI cases are handled on a contingency basis. When we are successful, we only charge a percentage of the past due Social Security Disability benefits that you are entitled to. Contact Stephen H. Hagler, LLC Attorney at Law today. 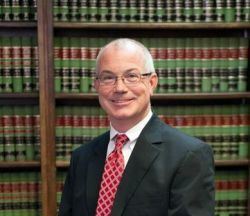 He has been practicing law in Augusta, Georgia and the surrounding area since 1991.